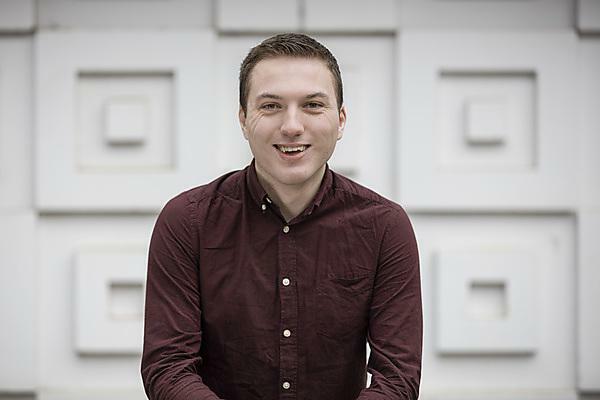 "I have gained a wealth of knowledge during my placement year in many areas of computer science, from theory to programming to infrastructure system." My placement was with Accenture PLC located in central London. My job title was software engineer associate / cloud software engineer. Accenture offers a wide variety of companies that you could possibly work for; examples of some public facing companies are Google, IBM, HP, Dell, RBS and Oracle to name but a few. This allows a wide variety of options during employment to work for a number of big companies allowing you to build connections, experience and to gain valuable knowledge in this field of work. Accenture also provides a very competitive salary as well as a starting bonus upon starting your employment. All training is also provided and you can undertake any other training in different knowledge areas. Accenture advertises placements every year on their website, careers fairs and also television advertising. The process for me to obtain the placement included the completion of an application form with an attached C.V, a video/ phone interview, a programming test (for software engineering placements) and an interview in person. providing training to other team members and third party companies. Lecturers and tutors were always available for any questions, issues or concerns I had throughout the year. Responses to these queries were also quick and sufficient. Support was provided throughout my placement year and my placement tutor visited me on my work site on more than one occasion. My previous studies provided me with the core fundamental knowledge that I used to develop core skills in technology areas that are currently in use in the industry. This provided me with the confidence to undertake more responsibilities throughout my placement and to perform to the best of my ability. I have gained a wealth of knowledge during my placement year in many areas of computer science, from theory to programming to infrastructure system. This will allow me to perform to the best of my ability during my final year by applying what I learned over the course of my time working in London. Placement has greatly increased my career prospects and development. It has allowed me to gain a valuable insight into the industry and how globally successful businesses work and what they expect from their employees. Having worked in the City of London this provided a valuable insight into the workings of all these major companies and instilled a great work ethic which I will never forget. Through working with Accenture during my placement they have offered me a graduate full-time job within the company. Undertaking a placement year was the best decision I made with regards to my education. The benefits of doing so are so profound and valuable to your future career, some examples being technical skills, industrial skills and team skills as well as much more. The benefits of taking a placement are endless as is the enjoyment.